As someone who has been doing the craft fair “thing” for just about ten years now, I have gone through my fair share of different jewelry display ideas. I like to make them myself when I can, but I am not above buying something pre-made if it’s just right. At each show, I usually keep blank paper handy so I can jot down things I want to change about my booth, sketch ideas for new displays, or note problems that need solving (ex: keeping something from being blown over by wind!). Because of this, I am constantly thinking about ways to improve my set-up and make it a little better each time. Here are a few ideas I found while browsing Pinterest and would love to incorporate in the future. Some are ready-made and available to purchase, while some include tutorials for DIY. 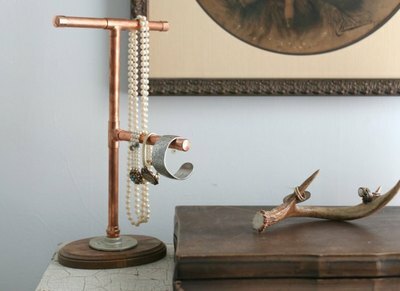 This copper jewelry stand DIY is great, because there is no set amount of jewelry you have to use. Pile it on if you have a lot, or spread it out if you’re running low. It would also be cute to do a couple in different heights for longer/shorter necklaces. 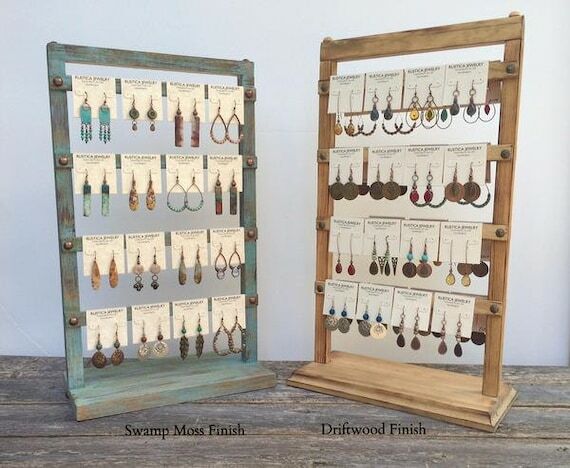 I love these handmade earring racks that are available in several colors on etsy! They would be perfect if you sell your earrings on cards as shown. It’s always a good idea to have a few displays that are vertical instead of everything being low to the table. This one is beautiful and simple, and available in three different sizes. The minimalist gold look fits right in with the displays I already use and won’t interfere with delicate pieces of jewelry. 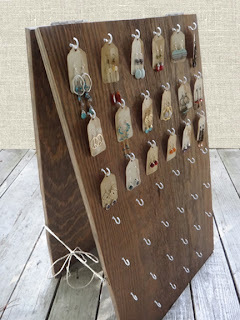 This tutorial for a standing earring display is perfect because you can customize the size of it and the number of hooks – I think setting up a couple of small ones around the booth would be great. Plus, it looks like it would hold up well on a windy day – one of my main requirements! 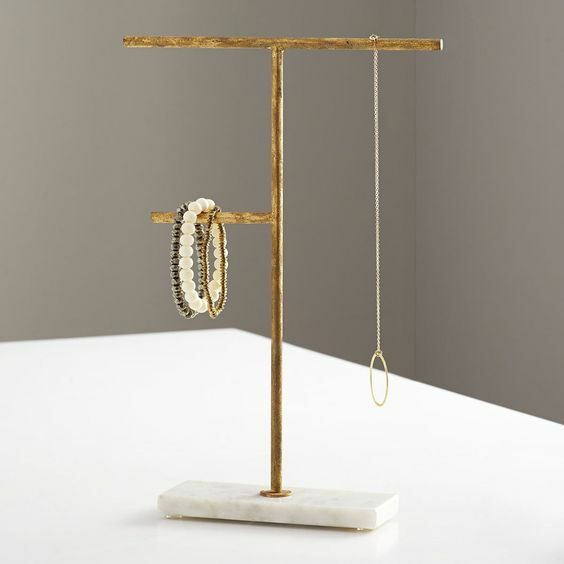 This simple and sleek necklace stand from cb2 would look really nice paired with the other gold-tone one above. It’s subtle enough to go with almost any display style and looks small enough to fit just about anywhere. 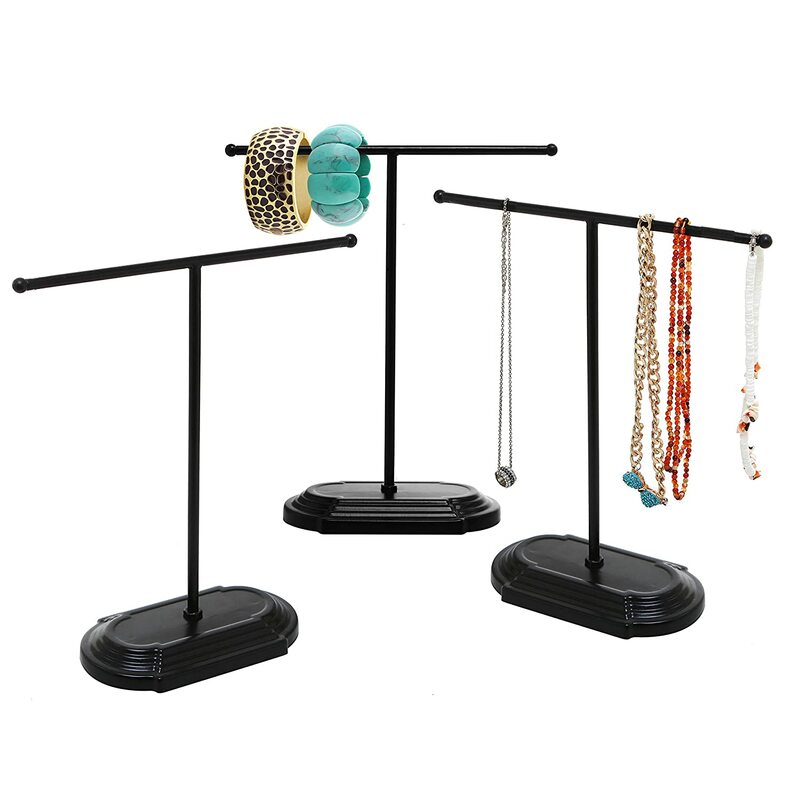 This set of three necklace/bracelet stands from Amazon are a really good value and a great way to squeeze in extra inventory without taking up a lot of space. They are on my wish list, and I will probably break down and buy them very soon! < Previous Best Black Bean BBQ Veggie Burgers!